Sintering of Ceramics provides the only comprehensive treatment of the theories and principles of sintering and their application to the production of advanced ceramics with the required target microstructure. 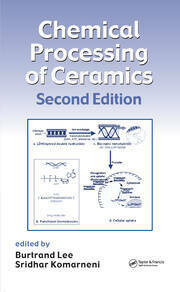 Stemming from the author’s bestselling text, Ceramic Processing and Sintering, this book includes additional material selected from many sources, providing a single comprehensive volume of all aspects of sintering theory and practice. While the emphasis is on the sintering of ceramics, the book is also useful for the sintering of metals and other materials because of the comprehensive treatment. Starting with a review of sintering fundamentals such as diffusion and defect chemistry, the book continues with a detailed treatment of solid-state sintering, viscous sintering of amorphous materials, grain growth and microstructural evolution in solid-state materials, and liquid-phase sintering. Special topics include sintering difficulties such as constrained sintering of composites, adherent thin films, and multilayers; solid solution additives and their role in microstructure control, morphological stability of continuous phases and thin films; and sintering with concurrent reaction or crystallization. 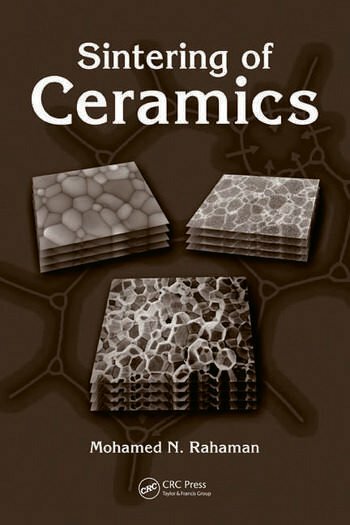 The treatment concludes with coverage of practical methods for improving sintering techniques, the effects of process variables on sintering behavior, and applications of sintering to the development of advanced ceramics. 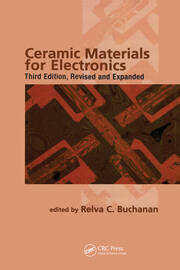 Sintering of Ceramics provides an up-to-date text for a senior undergraduate, introductory graduate, or continuing education course in sintering, as well as an ideal reference text for scientists and engineers involved in the research, development, and manufacture of ceramics or powder metallurgy products. "This is very well-organized, very well-illustrated and accessible."